Like many other dog owners, I worry about what my girl Reya eats. While she will happily eat most of what is put in front of her, that doesn’t mean all of it is healthy. As a responsible dog owner it is my job to make sure that all the treats and food available to her are healthy and made of only quality ingredients. With us constantly working on training, I am always looking for healthy treats. 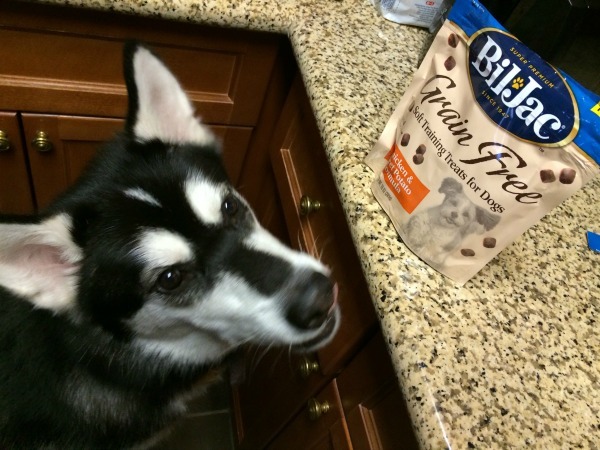 Recently, I was asked to try a new grain free treat that looked perfect for Reya – Bil-Jac’s Grain Free Training Treats! Bil-Jac Grain Free Training Treats: What is It? Looking for quality treats for training that are perfect for any pup? If so, we think you will love Bil-Jac’s Grain Free Training Treats. These little treats are made without corn, wheat, soy, or other dog-unfriendly fillers that are in most dog food. As well, they are made with real chicken and sweet potatoes (no yucky meat meal here!). 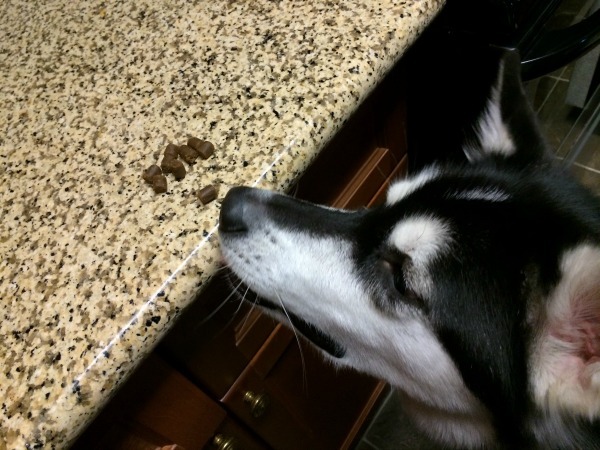 Once your dog has tried these treats, you will see why dogs everywhere love Bil-Jac! As many of you know, I love high quality dog treats. They are a great tool for training and can really make your dog’s day. While these treats are a bit small for my Reya, she still seems to enjoy them, especially when we are on the go. Of course, humans will love giving these treats too, since they are nutritionally dense, gluten free, meal free, and free of rendered fats. So far, we are a big fan of these treats and can’t wait to try more Bil-Jac products. Based on our own experience with these treats, we are happy to give Bil-Jac’s Grain Free Training Treats an A rating. Would you like to purchase these treats for your favorite dog? You can find Bil-Jac Grain Free Training Treats on Amazon.com or find them at a pet store near you using the Bil-Jac store locator. I’m happy to see on the Amazon page that bacon is an alternative to chicken as a training treat. Our beagle has an aversion to chicken and just loves bacon. Maybe that means he’s “trending”. These treats sound great, I am sure my Sorcha would love them. Thank you for your review.